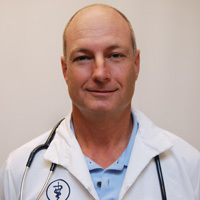 Dr. Chamness graduated from the University of Tennessee College of veterinary medicine in 1982. He is married and has two children, Lindsay and Reese. He practiced for four years in Crossville, Tennessee doing large and small animal medicine before practicing at Jonesborough Animal Hospital. He served as East Tennessee Representative to the Executive Board of the Tennessee Veterinary Medical Association (TVMA). Dr. Chamness also served on the University Of Tennessee Institute Of Agriculture Alumni Council. He is the current Peer Review Chairman for the TDMA, and current board member and past president of the East Tennessee Veterinary Medical Association. Dr. Chamness is the recipient of the Distinguished Service Award presented by the TVMA. 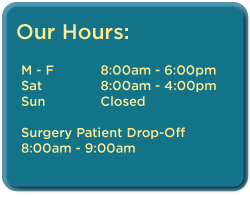 His special interest is in orthopedic surgery where he receives referrals from several hospitals and the Tri-Cities area. His hobbies include white-water kayaking and rafting, backpacking, snow skiing, and golf. Dr. Gardin graduated from Southern Methodist University with a BS in Biology and minors in Chemistry and Music. 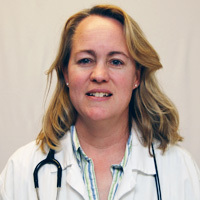 She got her DVM from the University of Tennessee, and has worked for Mountain Empire Animal Hospital since graduation. She has two children, and enjoys travel and gardening. Rodney Padgett graduated from University of Tennessee College of Veterinary Medicine in 2003. Prior to veterinary school, he attended Tennessee Technological University, majoring in pre-veterinary medicine in Cookeville, Tennessee. After veterinary school he practiced small and large animal medicine for two years at Seymour Veterinary Clinic in Seymour, Tennessee. Then he began working as a small animal veterinarian at Jonesborough Animal Hospital after moving to the Tri-Cities with his wife, Tracy. He currently practices small animal medicine, soft tissue surgery, chemotherapy, ultrasound, and most recently orthopedics. Rodney is originally from the small town of Byrdstown, located in middle Tennessee. He spent much of his time growing up fishing on Dale Hollow Lake, and trained hunting dogs with his father. When not practicing veterinary medicine, he enjoys spending time with his family. His wife, Tracy Padgett, is also an associate veterinarian at Jonesborough Animal Hospital, and they have two sons, Avery and Nicholas. Two dogs, two cats, several chickens, and multiple beehives complete his family. Rodney plays basketball and racquetball regularly, but also enjoys snow skiing, fishing, most other sports. 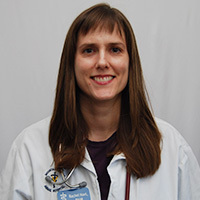 Dr. Padgett graduated from the University of Tennessee with a Bachelor of Science in Agriculture after completing her first year of veterinary school. 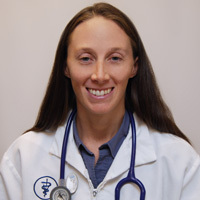 She was accepted into the University of Tennessee College of Veterinary Medicine after only three years of undergraduate study and graduated in 2004. After graduation, she went back to her home town and began work as an associate veterinarian. Her main focus in small animal medicine is, surgery, ultrasound and most recently, orthopedics. Outside of veterinary medicine, Tracy enjoys beekeeping, gardening, reading, snow skiing, racquetball, and spending time with her family. She is married to Dr. Rodney Padgett, who is also an associate veterinarian at Jonesborough Animal Hospital, and has two boys, Avery and Nicholas. Tracy has a large assortment of pets including two dogs, two cats, a barn full of chickens, and multiple hives of honeybees. Dr. Hart is a native of Cleveland, Tennessee and now lives in Fall Branch with her husband of five years, Brian and there son Patrick. 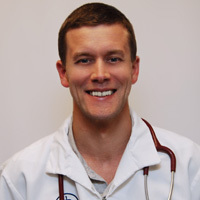 Dr. Hart has interests in ultrasound, dermatology, dentistry, and feline medicine. She works for two hospitals within the Mountain Empire group: Jonesborough Animal Hospital and Mountain Empire. She is active in PEO (philanthropic educational organization for women), which raises money for women’s scholarships. She and Brian enjoy rock climbing, and running, and have four furry family members: Callie, Cleo, Dean and Sam.